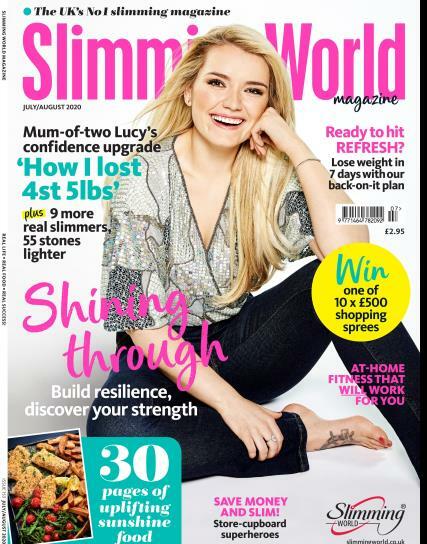 This is one of the highest selling magazines presented to you by the leading slimming club network, known as the Slimming World. For every woman out there, this is the perfect magazine for you. It gives you the best tips to reduce your weight! People take up all sorts of methods to reduce body fat and have the perfect slim figure. The magazine brings you the best ideas to tone your body and sport the perfect figure! It can be hard to go on a diet, but we all know, it is the best method to reduce your body weight and have a healthy body! The magazine helps you to take the straight and narrow path to a healthier life. There are interesting and proper diet meal plans with all the issues of the Slimming World Magazine. The readers are made to realize how simple it is to maintain a diet and have a good health. Dieting does not mean you have to starve yourself, but you have everything in moderate quantities and that will do wonders to your waistline and your health. Fashion and beauty tips are added incentives. This magazine covers every aspect of a woman’s health and appearance. So, all you need to do is buy a subscription and enjoy the magazine at the comfort of your home. Read about all the success stories and the health tip, lose the extra pounds, and remain healthy and beautiful always. My favourite magazine is ‘Slimming World’ because it’s packed with inspirational real-life articles of everyday people who have followed the Slimming World eating plan and have successfully lost weight. This really motivates me to keep going and helps me to stay focused on my goals. I also love the recipes. My whole family enjoy trying them out, so I often get a night off from cooking! We have all ate a lot healthier since I started to buy the magazine and have lost 4 stone in weight between us!